Friday’s MLB Free Picks for Premium Plays text “FB” 702-781-4441 for Premium Plays How to bet Parlays. Weekly NBA Winners /NCAAB/ MLB/NFL/NCAAF last Four weeks on Top plays , Text “”Hot” 702-781-4441 🔥💪Another week of Premium Play! text “YT” 702-781-4441 for Premium Plays How to bet Parlays. Weekly NBA Winners /NCAAB/ MLB/NFL/NCAAF last Four weeks on Top plays , Text “”Hot” 702-781-4441 🔥💪Another week of Premium Play! text “FB” 702-781-4441 for Premium Plays How to bet Parlays. Weekly NBA Winners /NCAAB/ MLB/NFL/NCAAF last Four weeks on Top plays , Text “”Hot” 702-781-4441 🔥💪Another week of Premium Play! 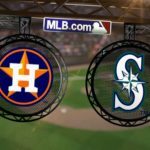 This game will be the first in a three game series between the Houston Astros and the Seattle Mariners, which is going to be played at the Safeco Field. The Astros are coming from a four game series against the Oakland Athletics, in which they were to sweep the Californians by winning al four games. The Astros won each game fairly comfortably, with 4 – 1, 8 – 4, 5 -1 and 12 – 9 results. The Mariners, on their part, are also coming from a four game series against the Detroit Tigers, in which they were also able to sweep the other team, winning all four games, with 6 – 2, 5 – 4, 7 – 5 and 9 – 6 results. These two teams could not be having more different seasons, with the Astros having a masterful season all year round, and the Mariners trying to get closes to them, but not being able to do so. The Astros have won fifty and lost only twenty four of the seventy four games they have played in 2017, for a .676 winning percentage that has them comfortably sitting in the first place of the western division of the American League, twelve and a have games ahead of the Mariners and thirteen games ahead of both the Texas Rangers and the Los Angeles Angels of Anaheim in third place. They have to visit the Mariners at the Safeco Field, with a winning record on the road that has been really good having won twenty seven and lost only eight of the thirty five games played there, for a .771 winning percentage when playing away from their home fans. The Mariners started pretty poorly this season, but have been able to go up in the standings in the last few games. They have won thirty eight and lost thirty seven of their seventy five games in 2017, for a .507 winning percentage that has them in the second place of the western division of the American League, twelve and a half games behind Astros, and a half game behind the Rangers and the Los Angeles Angels of Anaheim in second place. They receive the Astros at Safeco Field, with a home record that has been pretty good, winning twenty four and lost thirteen of the thirty seven games they have played, for a .648 winning percentage when playing at home. Both teams are coming sizzling hot into this series, from having swept their previous four game series, with the Mariners also winning one more game, making their streak a five win one. Both teams have had the same results in the last ten games, having won six and lost only four. The starter for the Astros will be Joe Musgrove and the sophomore will be looking to start in his thirteenth game this season. In his past starts, he managed to get four wins, while losing six and without deciding the two remaining. He has pitched 63.2 innings, giving away 70 hits, 37 runs and 1 home runs, while getting 52 strikeouts and an earned run average of 5.09. He has only started two games against the Marines, with one of them being a win and the other one undecided. Felix Hernández will be back to starting for the Mariners in this game, after two months in the injury list. This will be his sixth start of the season, and in his previous starts he has gotten two wins, two losses and left the other game undecided. He has pitched 26.2, allowing 39 hits, 14 runs and 6 home runs, while also striking out 22 players and with an ERA of 4.73. We believe Hernández will be able to get back to his winning days and he will help the Mariners get the first win. The total is being set at 9.5, so we suggest you go with the under.